We are doing it again ! We’re counting down to the big event and we need your help to reach our goal of 500 000 Africans meditating for peace in Africa. 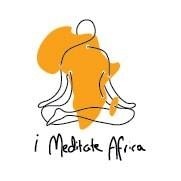 “I Meditate Africa” is a FREE campaign promoting peace in Africa, encouraging the use of Meditation – Mindfulness or Quiet Time as a mainstream peace building block for the continent. Over 10 000 Africans meditated for Peace for Africa in 2013. Over 100 000 Africans meditated for Peace for Africa in 2014. 500 studies from over 200 universities in 33 countries scientifically validate both the beneficial effects of meditation, and how individual and group meditation can improve the quality of life for every one. In tackling the challenges facing Africa today, from issues around violence, crime and unrest the benefits of meditation can definitely be given more serious consideration, as part of peace building.